One of Planned Parenthood’s affiliates, Planned Parenthood Votes Northwest and Hawaii, cut ties with Women’s March co-chair Tamika Mallory Wednesday over her friendship with anti-Semitic Nation of Islam leader Louis Farrakhan. In a statement posted to Facebook Thursday, the abortion provider explained why Mallory will no longer be the keynote speaker for their upcoming luncheon in Seattle. 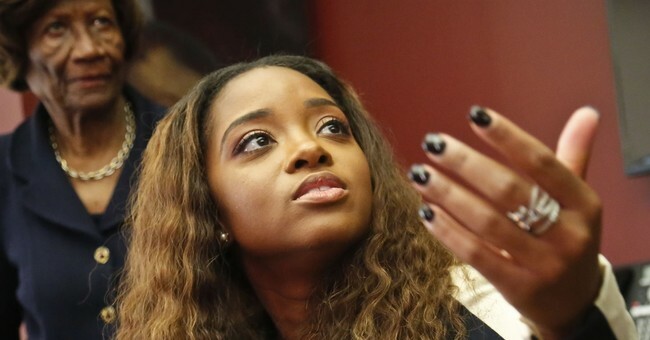 Tamika Mallory has doubled down on her attendance at “Saviour’s Day” where Farrakhan said Jews “were responsible for all of this filth and degenerate behavior that Hollywood is putting out, turning men into women and women into men." “I didn't expect my presence at Saviour's Day to lead anyone to question my beliefs, especially considering that I have been going to this event regularly for over 30 years," she wrote Wednesday. "I first went with my parents when I was just a little girl,” she said, “and would begin attending on my own after my son's father was murdered nearly 17 years ago. In that most difficult period of my life, it was the women of the Nation of Islam who supported me and I have always held them close to my heart for that reason." Mallory offered no apology or criticism of Farrakhan, but she said she had “heard the pain” of her friends. "I have heard the pain and concerns of my LGBTQAI siblings, my Jewish friends and Black women (including those who do and those who don't check off either of those other boxes),” she wrote. “I affirm the validity of those feelings, and as I continue to grow and learn as both an activist and as a woman, I will continue to grapple with the complicated nature of working across ideological lines and the question of how to do so without causing harm to vulnerable people." A number of prominent House Democrats have also come under fire over their ties to Farrakhan, following his recent remarks.